This guy seems like the worst. Here’s yet another example (this one from the Little League World Series) that whatever problems there are with youth sports stem from the adults involved, from coaches to parents to the television networks who broadcast them. 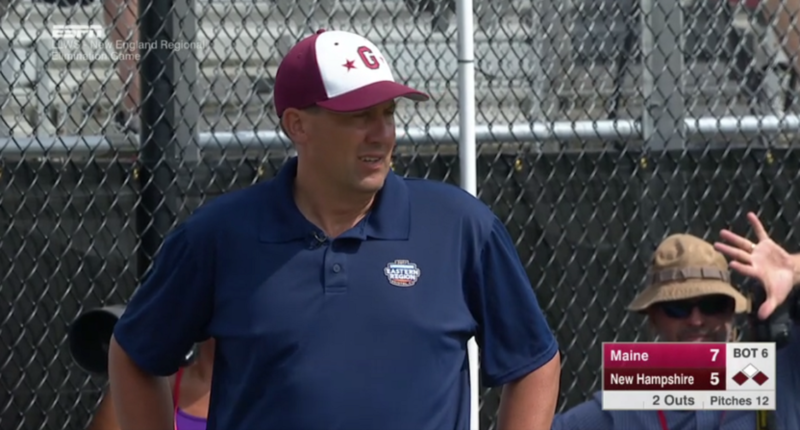 On Friday in regional action, the team from Goffstown, New Hampshire trailed Maine 7-5 with two outs in the bottom of the sixth inning. That meant that the game could end at any time. New Hampshire still had a player left who hadn’t yet played; as this is Little League, every player is by rule supposed to play. Because, again, these are kids. That’s one of the redeeming rules about the competition, actually. In this case, though, rather than send the kid to the plate with the game on the line, the coach elected to violate the rule, which is apparently something you can do? It’s not really much of a mandatory rule then, is it? Good for Karl Ravech for calling out the behavior, but it’s unfortunate that that didn’t seem like a unanimous decision from the broadcast team. Because karma is sometimes, New Hampshire ended up losing, 7-6. The coach would have been suspended at Williamsport had his team gone on to win, but think about what he did there. Two games seems awfully light, all things considered.